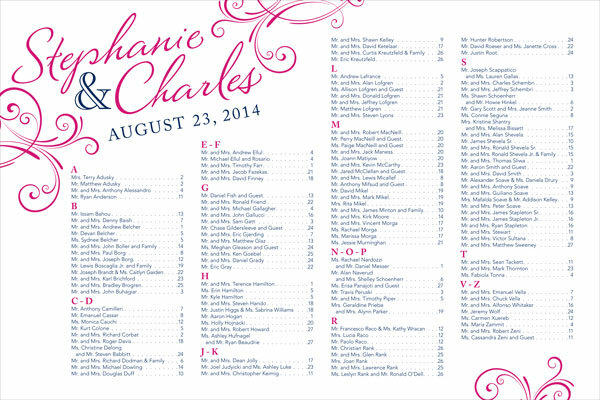 This seating chart was designed to coordinate with the couple’s teal, silver, and navy blue Lake Tahoe Passport Invitations, as well as all of their table numbers, place cards, bird cage card box signs and several other pieces of paper reception decor. 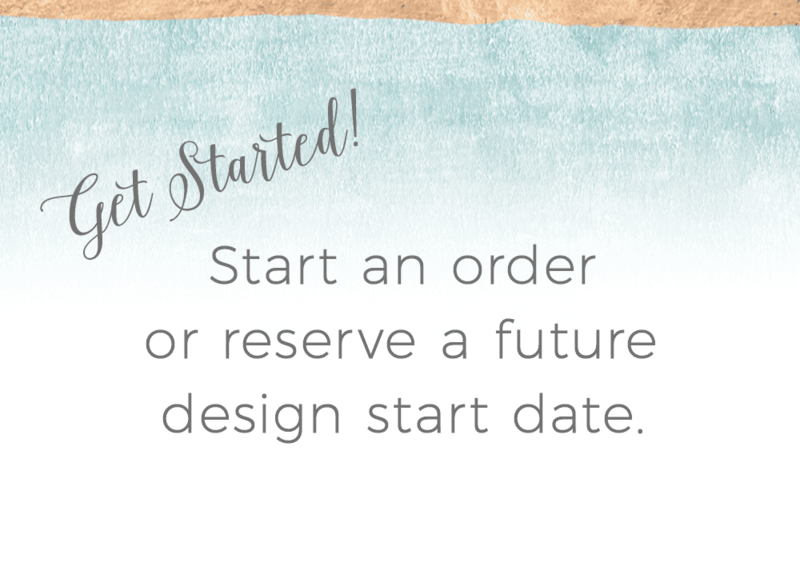 The simple design stands out against their gorgeous outdoor location! 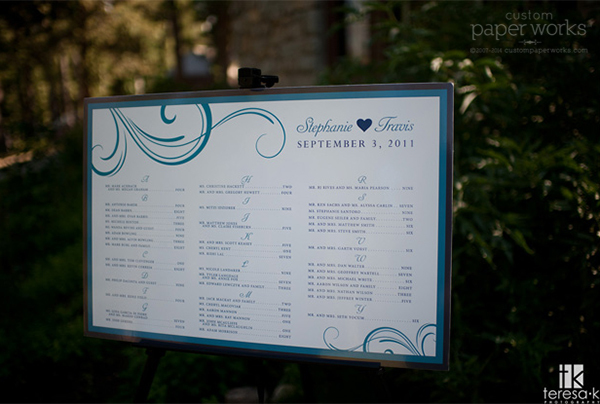 See more of their formal outdoor wedding photos on the Teresa K Photography blog. 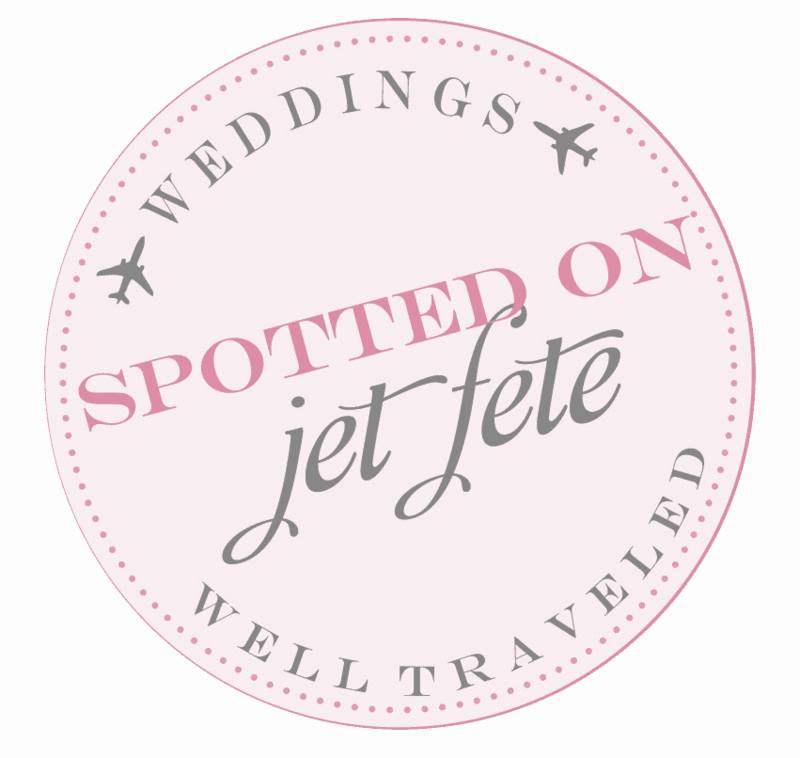 The wedding and their Custom Paper Works’ Passport Invitations were featured on Jet Fete.